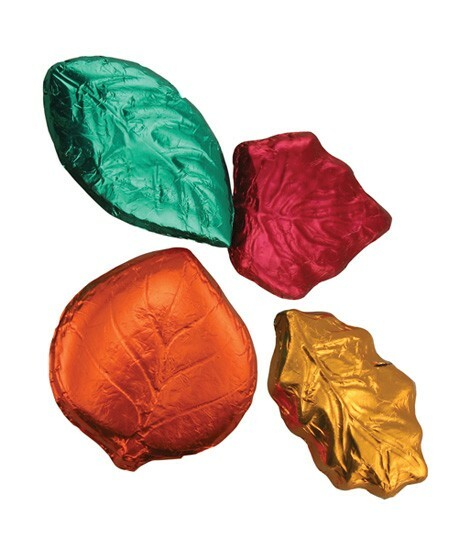 Fall into the season with our chocolate candy autumn leaf kit. 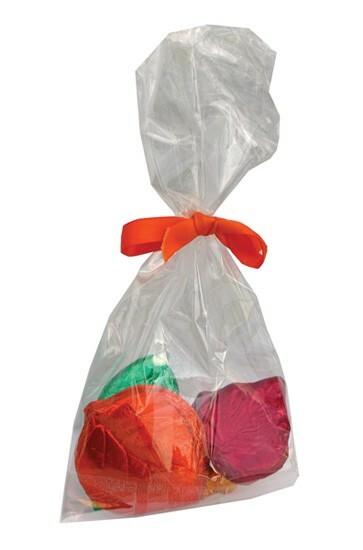 1.6oz clear cello bag filled with 1 chocolate candy foil wrapped maple leaf, 1 chocolate candy foil wrapped aspen leaf, 1 chocolate candy foil wrapped elm leaf and 1 chocolate candy foil wrapped oak leaf. Tied with ribbon. Makes a great food gift or autumn fall promotional giveaway.